In my last post, I discussed neckloops and posted a picture of the device above. It is called a “silhouette” or “ear hook” or “silhouette ear hook”. It works just like an inductive neckloop, but instead of going around your neck, the hooks tuck behind your ears – behind your hearing aid or cochlear implant processor. Because they are so close to your hearing aids, they produce a louder sound than most neckloops. 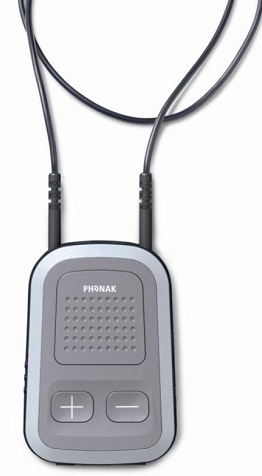 They come in single or dual models and some have a built-in microphone and can be used with a telephone. Others are purely for listening. 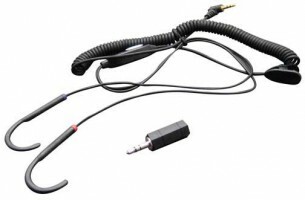 Below are two Bluetooth neckloops. 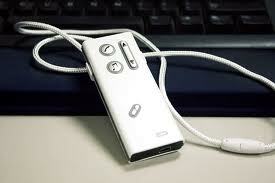 When a phone call comes in you simply push a button to answer it and the sound is sent into your hearing aids. There are many hearing aid manufacturers that now have similar accessories. The advantage of this “wireless connectivity” is that the devices are easy to use and they improve listening in many situations. Unfortunately, many audiologists and hearing instrument specialists are telling their clients that they don’t need t-coils because the hearing aids have wireless connectivity. It doesn’t matter how many gadgets are available with your hearing aids, NONE of them will work in a room with a hearing loop! You must have manual t-coils to take advantage of hearing loops.